Stalker 2 is underway again, according to the developer, with GSC Game World announcing that the sequel is being worked on and is expected to arrive in 2021. So yes, the not-so-great news is we’ll be waiting a few years yet before we get our mitts on this full-on Stalker sequel – and that’s assuming everything goes to plan. Of course, you may recall that Stalker 2 was actually promised to be on the way back in 2010, with a projected release date of 2012, but when that year rolled around, the cancellation of the project was announced. We’d forgive you for not getting too carried away at this point, then, but hopefully this time round, things will be different. 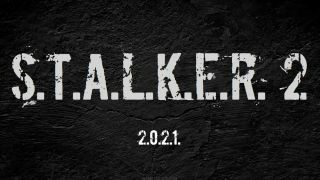 There are scant details about Stalker 2 at the moment, with a placeholder website that just has the title of the game, along with ‘2021’ written underneath, suggesting that this is the target release date. On its homepage, GSC Game World also says that the ‘eagerly anticipated comeback’ is actively in development right now. And that’s all we know. Obviously, this is a potentially massive game, as the original was a big hit when it was released back in 2007 for Windows PCs, despite it being beset with bugs and glitches. There were two follow-ups, with Stalker: Call of Pripyat being a suitably more polished affair, but the prospect of a true sequel with a fresh game engine is certainly an exciting one. But that excitement should be tempered with a healthy dose of skepticism, particularly given how thin details are on the ground right now. The developer says that the previous games in the Stalker series have amassed sales of almost five million copies worldwide to date.